ROBERTA MAZZA: Book binding cartonnage: a Rylands intermezzo (Faces and Voices). WHAT'S NEW IN PAPYROLOGY: Article and Reviews available on JSTOR, 2012-2013 sv papyri (G.W. Schwendner). 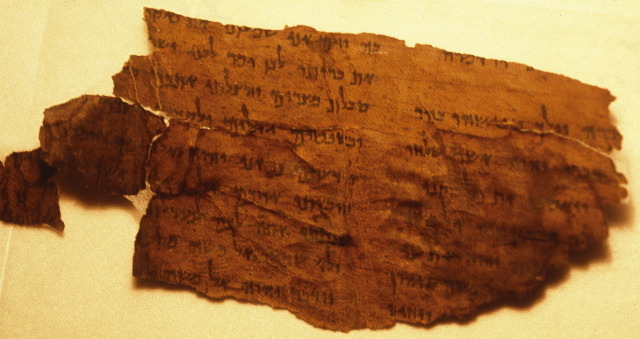 A number of items deal with ancient Judaism and related subjects. TEMPLE MOUNT WATCH: Response to Article in Times of Israel. The Temple Mount Sifting Project replies on their blog to that recent Times of Israel article. Also, Todd Bolen has a response to the same article at the BiblePlaces Blog and further comments here. HT Joseph Lauer. Background, with many links, here. ADAM MCCOLLUM: From Peter Boodberg’s “Philologist’s Creed” hmmlorientalia). "Brooding humanism" indeed. Bordering on the Lovecraftian. STARTS TODAY: Kingship in Ancient Iran: An interdisciplinary workshop A project of the Institute of Iranian Studies, School of History, 12–13 June 2014, University of St Andrews. For now, questions remain as to the synagogue’s last days and whether the artefacts will endure or whether they will reach the illegal antiquities market. Equally for the more religiously inclined, there is the question of commemoration. Elijah is revered in all three Abrahamic faiths. The Catholic Church (the Carmelite order) celebrates a feast day in July after the prophet. How, now, should we respond to the desecration of a site associated with Elijah and the destruction of a synagogue where memory and catastrophe are woven together? Be it with fast, Damascene piyyutim (liturgical poetry) or scientific endeavours, Jobar must not be forgotten. It seems there is no further information on the current state of the synagogue beyond the already-published photographs of its ruins. MARTI J. STEUSSY IN THE CHRISTIAN CENTURY: The many Jobs. A review of Job 1-21: Interpretation and Commentary by C. L. Seow. Seow’s commentary will not answer all your questions about Job, but it will help you appreciate how the book’s complex poetry reinforces its insistent questions. For professional scholars, Seow provides a wonderful entry into the massive literature on Job. For pastors and lay readers, he serves up a nourishing banquet of linguistic insight, historical perspective, and thoughtful theological reflection. SAD NEWS: Robert M. Grant, 1917-2014. Professor Grant was the most prolific and influential American historian of ancient Christianity of his generation. The author of over thirty-three books and countless articles, Grant’s work was characterized by philological exactness, a deep knowledge of the ancient world, and philosophical and theological finesse, together with a tight prose style and dry wit. Mostly I was familiar with Professor Grant's publications on the Apostolic Fathers, but his work was much more far-ranging. And I didn't know about his expertise on WWI U-Boats. Requiescat in pace. ARCHITECTUAL RECORD: Digging for The Past and Future. A new archaeology campus designed by Moshe Safdie is under construction on a Jerusalem hillside. The guiding principle in the design of the new complex, which Safdie proposed during the competition phase, was that the project be a metaphor for an archaeological excavation. The floors will be numbered from the top down, like the numbering of strata in an excavation. And some mosaic preservation work will take place in the courtyards, which will be shaded by a canopy much like the tent-like canopies used in actual digs. The most striking design feature is this giant, square, concave canopy, held in place by cables and made of a brown, woven fiberglass-and-polymer fabric that allows 40 percent light transmission while keeping rain out. “Because of the shape, [water] drains toward the center, forming a kind of fountain into a pool,” Safdie said. The canopy also makes it possible to use clear glass in the windows around the courtyards. The perimeter walls are stone, in keeping with a municipal ordinance and also chosen because the architect believes Jerusalem buildings should be made of the local material. This sound a little gimmicky and try-too-hard to me. And I can't say that the scale model entirely reassures me. But never mind, I hope it's a success. THIS WEEK'S DAF YOMI COLUMN BY ADAM KIRSCH IN TABLET: Talmudic Rabbis Debate the Practice of the Law Versus the Intention Behind It. Technical discussion about the shofar leads quickly to an examination of deep spiritual questions. One of the stimulating things about reading Daf Yomi is that you never know when a technical legal discussion will suddenly blossom into a profound examination of a spiritual question. That’s what happened this week in Chapter 3 of Tractate Rosh Hashanah, a short chapter largely devoted to the shofar that is blown on the holiday. Beginning with a discussion of what kind of animal horn can be used to make a shofar, the rabbis end up asking a question that goes to the heart of Judaism: Does God want us simply to carry out the mitzvot, or is the whole point of mitzvot that we obey them as a conscious religious act? Is it the practice of the law that counts or the intention behind it? Scholars interested in heterodoxy will be excited to learn of Arabic translations of apocryphal and pseudo-epigraphical texts that, previously, had been thought to exist only in Greek or Syriac fragments or in a single Syriac source (such as Sinai Arabic MS 389, which contains three Arabic translations of the Apocalypse of Baruch, the Epistle of Baruch, and 4 Ezra). This sentence could be phrased a little more clearly, but it could be taken to refer to the recovery of new Arabic translations of biblical apocrypha and pseudepigrapha. Yes, this sounds exciting. But not so much if the reviewer just means the Sinai manuscript, which is already well known. EXCITING: Brill Signs New Harvard Egyptological Studies Book Series. That is, although they formed at least two distinct linguistic systems, they weren’t always differentiated, in theory or practice; the New Testament mentions of “Hebrew” usually refer to what we would call Aramaic, but sometimes Hebrew, and should perhaps be understood as an ethnic term. The more relevant opposition for them may have been ethnic and cultural: not Hebrew vs. Aramaic, but Jewish vs. Greek. It’s this opposition that may have determined how languages were named and categorized in the region as well. The ancient borders of languages, in other words, were themselves linguistically produced. While this view complicates both scholarly and nationalist presuppositions, it is ultimately a product of them: for linguistic ideologies to be reconstructed, ancient metalanguage—discussions of who was speaking what—must be translated. Indeed, recent decades have seen an explosion in contemporary sources for Aramaic, which strengthens and nuances this picture. And here is a further scholarly irony. From the purist’s point of view, the Jewish Palestinian Aramaic corpus, which is as close as we are going to come to the Aramaic of Jesus, is as odd as Mel Gibson’s film. Most of this “Aramaic” is not entirely in Aramaic. The inscriptions and Midrash offer Aramaic phrases, sentences, and extended passages—but freely mixed with, or embedded in, Hebrew. Lots of interesting thoughts and nuances here, just as we would expect from Seth. Read it all. What remains is typically just pebbles, rocks and bits of modern refuse, but the dirt is also peppered with bits of antiquity. The objects are cleaned, photographed, digitized, cataloged, and sent to a Jerusalem lab where the senior staff, headed by Barkay and Professor Zachi Dvira. Most of the tens of thousands of items found in the pans by volunteers are small — an abundance of coins, innumerable fragments of clay, figurines, brightly colored mosaic tiles and beads, arrowheads, inscribed stones and bits of bone. In explaining the trove of tiny artifacts found, Barkay made regular reference to biblical and post-biblical characters in corresponding the items to time periods: clay figurines smashed during the time of the just kings of Judah, seal impressions with the names of priests mentioned in the book of Jeremiah and coins minted during the rein of King Antiochus IV Epiphanes, who fought the Maccabees. The relics catalog the history of Jerusalem from antiquity through the modern era, he explained. Other finds include rare coins, like a half-shekel minted in the first year of the Great Jewish Revolt against Rome in 66 CE; a seal impression left in clay, from the 6th century BCE bearing the name of a Judean official; and golden mosaic tiles from the early Islamic period which once decorated the Dome of the Rock’s exterior before it was renovated. “Our main method of dating is via typology,” Barkay said. “We try to find parallel, similar objects found elsewhere in context” and use them to date objects found in the Temple Mount fill. “That is one of the axiomatic assumptions of archaeology,” he explained, “that there is a fashion in human life, and objects of the same time looked similar here in the Temple Mount and elsewhere.” Unfortunately, the project presently lacks the necessary funds to perform radiocarbon dating on organic matter such as fox, cow, sheep, and pig bones to better date some of the finds. “It is true that we are dealing with material that has no context. We do not know from what depth the material came. We do not know what was found next to what, with what structures are they associated,” Barkay said. He noted, however, that there had previously been no archaeological survey of the Temple Mount, calling it “an archaeological black hole” comprising one-sixth of the Old City. Since King Herod built the platform surmounting the Temple Mount in the first century BCE, it has been “a closed box,” which “didn’t have large-scale earthen works carried out, so no earth was brought in and no large quantities were taken out. The soil is indigenous,” Barkay said. This is a very thorough article, which covers the background of the project, its funding, its accomplishments, and its critics. Read it all. HT Joseph I. Lauer. Background on the Temple Mount Sifting Project is here, with links going back to its inception. Background on Elad is here and links. A "King of Hebron" in the Second Temple era? Would that be an Idumean thing? Or is it an Edomite seal from an earlier period? ADAM BLITZ IN HAARETZ: Who will save the remains of Syria’s ancient synagogue? Surrounded by a propaganda war and rebel fighters, Damascus’ Jobar synagogue has now been largely destroyed, but its media fame has dangerously inflated the value of its remaining artefacts. Unfortunately I got to this one only after it had gone behind the subscription wall. But Adam has alerted me to a post at the Scotfella blog which has a substantial excerpt: Who will save what's left of Jobar? Bottom line: the photographic evidence indicates that about two-thirds of the synagogue has indeed been destroyed. Rewritten Bible After Fifty Years presents the papers of a conference on the meanings and usages of the term Rewritten Bible introduced by Geza Vermes in 1961. Leading scholars of the topic discuss their new insights and ideas comparing with Vermes' initiative, whose participation on this conference was unfortunately the last chance for a life dialogue with him on this topic. Apart from the terminological discussions and comparisons several case studies widen the scope of the notion of Rewritten Bible/Scripture and rewriting as a genre and technique. Vermes's last book has also recently been published and is noted here.